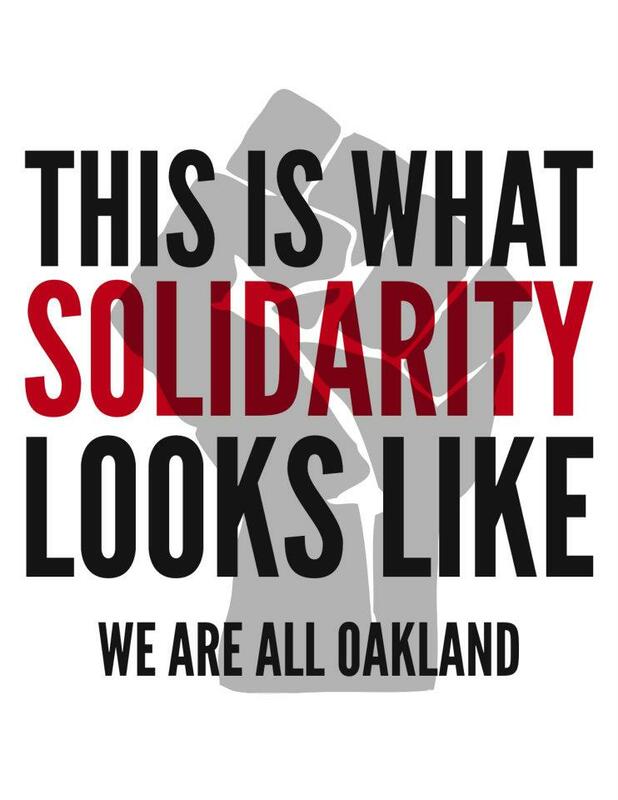 The Labor Outreach Committee of Occupy Wall Street is calling for a national day of action on November 2nd in solidarity with Occupy Oakland and in defense of the Occupy movement nationally. We urge students, labor, the unemployed and all members of the 99% to take action on that day to send a message that our movement will not be silenced. At Occupy Wall Street on Friday, 10/28/11, Jack Heyman announces the solidarity of the International Longshore & Warehouse Union with the Occupy Oakland’s call for a General Strike on November 2 in response to the police violence against protesters in Oakland. In the aftermath of Oakland’s raid of the peaceful Occupy Oakland encampment Tuesday and a similar crackdown expected in San Francisco, the California Nurses Association/National Nurses United today called for Oakland and San Francisco officials to work with the occupy movement for permanent sites for an ongoing peaceful protest and an end to arrests and confrontations. The 99% are the incarcerated and the formerly-incarcerated, the victims of racism and the police, the unemployed and the evicted. We ALL stand to win when these injustices are uprooted. The Campaign to End the New Jim Crow is in solidarity with the Occupy movement everywhere and joins the resistance to the 1% who aim to destroy our lives. We are members of over 30 trade unions and labor groups who have come together in support of the goals of Occupy Wall Street. Minority leaders have begun to rally for wider participation of people of color, and groups like “Occupy the Hood,” started by a man in South Jamaica, Queens, have begun to boost their presence both online — Occupy the Hood’s Facebook page now counts more than 8,800 supporters — and on the street. A “People of Color Working Group” has been meeting regularly at Zuccotti Park. Who is the 99 Percent? Clarence Thomas, executive board member of the International Longshore and Warehouse Union in San Francisco and a former Black Panther, stressed the need for the 99 percent to come together. He pointed out that one of the strengths of the Panther movement was its ability to develop coalitions with white allies, who were referred to at the time as “white radicals of the mother country.” He said he thinks this can happen in the Occupy Movement. The pro Palestinian organisation “Existence is Resistance” held a silk screening event at the Occupy Wall Street Encampment. Anyone who brought their own T shirt or anything else that could be silk screened were able to get it imprinted with the words “Un-Occupy All Foreign Lands”. There was a large turnout for the event as can be seen in these photos. Silk Screening T-shirts at Occupy Wall Street. So much love and support for Palestine. To commemorate the 33th anniversary of the historic march he led on Wall Street on November 6, 1978, and to show solidarity with the current Occupy Wall Street movement, famed and long-time Brooklyn pastor the Reverend Herbert Daughtry of House of the Lord Church is leading a march from his base to Zuccotti Park this Sunday, October 30, beginning at 2pm SHARP. In response to the violent suppression of demonstrators in Oakland and Atlanta, dozens of faith leaders from across New York will lead hundreds in a march across the Brooklyn bridge to join those occupying Zuccotti Park. On arrival at the park faith leaders will hold an interfaith service and deliver more than one hundred tents from the New York faith community to support the growing occupation. The march will begin at 2pm from Brooklyn’s historic The House of the Lord Church to honor the 33rd anniversary of the March on Wall Street led in 1978 by Rev. Herbert Daughtry and the Black United Front. We are part of the fabric of this great country and we must take our place in the movement for civil rights; we must act to protect our rights and the rights of all Americans to life, liberty and the pursuit of happiness! Man’s death after allegedly being filled with water from hoses raises comparison to case that helped spark revolution. A leading Palestinian activist from Biliin has become the village’s latest political prisoner. Ashraf Abu Rahmeh was kidnapped by Israeli occupation soldiers last week, and has now been indefinitely detained on the orders of an Israeli captain at Ofer prison. Please sign the petition on our right to occupy! Share and link far and wide!!! Welcometo OCCUPY TOGETHER, an unofficial hub for all of the events springing up across the country in solidarity with Occupy Wall St.
PLEASECIRCULATE WIDELY: If you are arrested at an Occupy Event, call the National Lawyers Guild: New York City: (212) 679-6018 Los Angeles: (323)696-2299 Washington, DC: (202) 957 2445 Chicago: (773) 309-1198 San Francisco: (415) 285-1011 New Orleans: (504) 875-0019 Baltimore: (410) 205-2850 Minnesota: (612) 656-9108 Michigan: (313) 963-0843 Portland: (503) 902-5340 Boston: (617) 227-7335 Pennsylvania & Delaware: (267)702-4654 Idaho: (208) 991-4324Be very sure to write the applicable phone number in PERMANENT marker somewhere concealed on your body, protected from the elements. Do NOT assume you will be able to retrieve the number from a phone or a notebook. It is very likely you will be stripped of all your belongings. Created in response to the lack of racial diversity at #OccupyWallStreetwith the purpose of developing critical consciousness within the movement and extending its reach to include those most affected by the current crisis. It is open to all who identify as people of color.